We all have belongings we hold onto for way too long; Things that are way past their prime but are technically still functional, so why bother replacing them? In high school, it was a pair of shoes for me. Even though my laces were torn and the soles were filled with holes, I’d still put them on day after day. Eventually, I was forced to get a new pair and as soon I put them on, I couldn’t figure out why it took me so long to make the switch. We don’t want to invest in a website redesign — but let’s face it, you probably do need it. While website design can be complex and pricey, it is one that will pay out big for you in the long run. Many of your prospective patients and referral contacts’ first impression of your practice will be based on what they see on your website. If you’re trying to decide if you should invest in a website redesign but you’re still on the fence, here’s our list of nine reasons you need to pull the trigger on a website redesign. 1. Your website is not Mobile friendly and does not provide a seamless experience across all devices. 2. You aren’t getting the results you want. 3. The purpose of your site has changed and doesn’t reflect your latest business and marketing strategy. 4. Your website looks out-dated and has confusing navigation. 5. Prospective patients, referral contacts can’t find you online. 6. Your website does not make you stand out. 7. Your website is slow to load and you rarely get positive feedback on your website. 8. You want to incorporate a better content strategy. 9. Your competitors changed their site. More than 56% of all healthcare website traffic comes from mobile devices. If your site isn’t responsive or mobile friendly yet, the chances that you’re losing leads, and maybe even patients, are high. Mobile users have made it clear they want to have a great User Experience (UX) on their devices — the same experience they have on their desktops — so this should be one of the main priorities for your website, if it isn’t already. Have your patients ever told you that your mobile site is hard to use or your information is hard to find?, patients are primarily using their mobile phones to look up information on their physicians. Having a site that is not mobile friendly could really inhibit the success your practice could achieve. Patients are likely to become frustrated if your site won’t work properly, and this will ultimately cause them to go elsewhere. Is your website gorgeous, functional, and pixel-perfect? Awesome! But it’s ultimately useless web real estate if you still aren’t getting the results you want. Your website exists to build your patient base, and your website analytics data should show you’re trending toward that goal. Does your call-to-action convert visitors into leads and patients/referral contacts? Do your landing pages (main service pages) inspire people to learn more by digging deeper, or are they simply aesthetically pleasing pages that convey little value? Is your site too wordy or loaded with language your patients may not understand? Does the look and feel of your website match your practice’s voice, and does it speak directly to your target audience? Blogging – Does your site have blogs that are posted frequently? 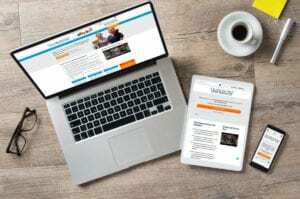 Blogs are an excellent way to not only help your site’s SEO but also provide great content that allows your patients to have their questions answered about any certain symptoms or procedures. If the purpose of your site has changed, you need to update its layout so that it is more in line with your current goals. For instance, if you’re new goals are now to provide more lead generation content (perhaps some “how-to” blog posts and ebooks), ensure you include Calls to Action (CTAs) on your homepage and other popular webpages. If your website has been running for more than 3 years, it is time to update. Things have changed fast over the last few years, user experience and expectation has changed, design trends have changed and your practice and business goals have also changed as well. A site that has too many menu options or is not easy to navigate through creates a frustrated user. These patients are much more likely to leave the site and not convert. It is important to have a site that is easily navigable on desktop as well as mobile. A website is all about the user’s experience. 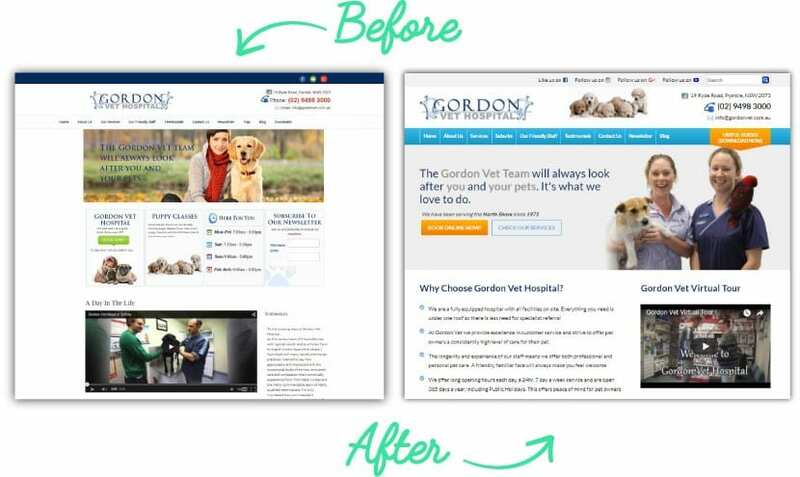 Figure 3: When we started the online marketing campaign for Gordon Vet Hospital a few years ago, they had a relatively dated website that used cheesy stock images and lacklustre graphics. We decided to give Gordon Vet Hospital a completely new look for their website because we didn’t think that the old site would enable the results that we planned to achieve for this hospital, no matter how much traffic we drive to this website. 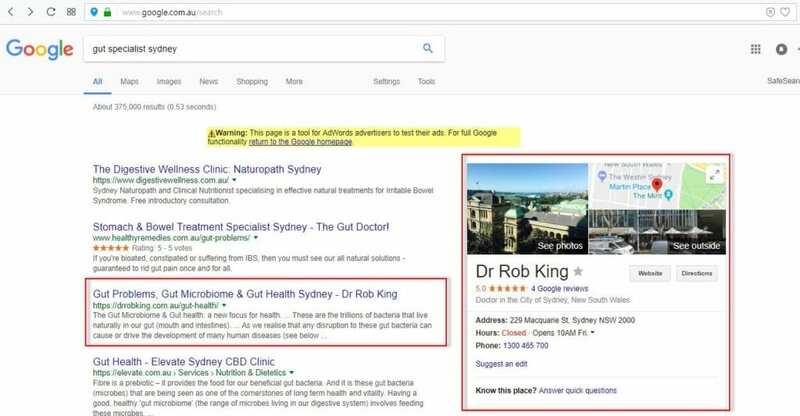 If your website is not found in search results when using the keywords you want, that means your website is just purely an online catalogue and not performing the role it should – which is the drive target patients and referral contacts to your website. Having SEO (Search Engine Optimisation) set up with Google My Business Local listing is crucial to how your site performs when it comes to search engines. SEO will help improve your site’s rank on practice specific keywords that ultimately let patients find you on the web. 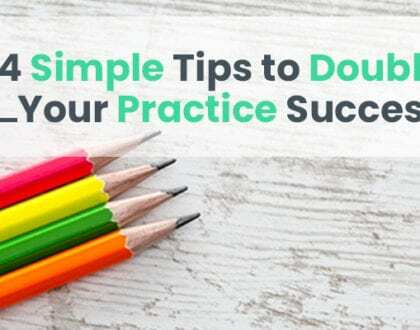 Can your visitors tell what is unique about your practice? Does your website does differentiate you from the competition? Are you are saying the same thing in the same way as the hundreds of other practice just like you? An effective website design can help your practice stand out. You do not have to follow market. You can do something completely different with your website that makes your practice unique in the eyes of your visitors. Your site is too slow if any of your pages fail to load completely within two seconds. According to a survey from Akamai, 49% of consumers expect a site to load in two seconds or less. Only 51% claim to “wait patiently” for a website to load. In other words, if your site takes longer than three seconds to load completely, you can’t expect potential patients to wait around for it. 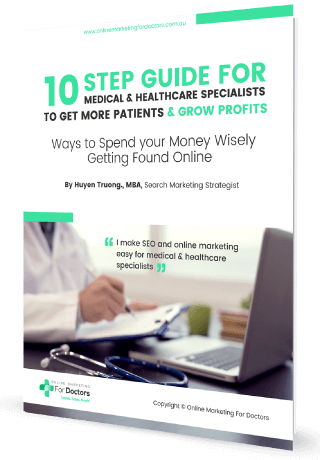 You run the risk of missing out on prospective patients and revenue. If you never get positive feedback on your website, there might be something seriously wrong with it. Survey your patients and ask referral contacts to give you feedback on your website. There may be fundamental design changes you can make to increase your bottom-line. 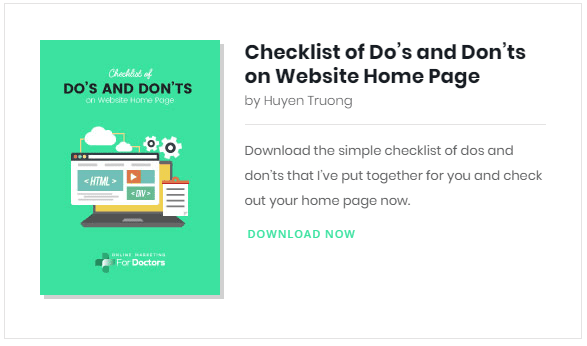 Does your website display everything about your practice that it should? Does it showcase your expertise and experience to the fullest extent? Do you measure your website’s success (the number of calls, enquiries coming through the website, channels (organic search, paid search, social media, referral sites) on a daily, weekly, monthly, quarterly or annually basis? Is your website search friendly? Can prospective patients find you through your name, your main services and the locations you want to target? Is your website accessible on different types of mobile devices and browsers? Having fantastic content on your site can improve everything from patient retention to SEO — and with continuing changes to the algorithms of search engines, you’d be smart to implement a solid content plan. That said, what good is quality content if your visitors can’t readily find it. 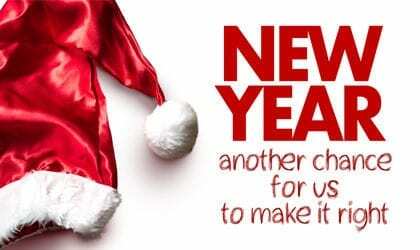 Can your patients, referral doctors etc. easily find your content? 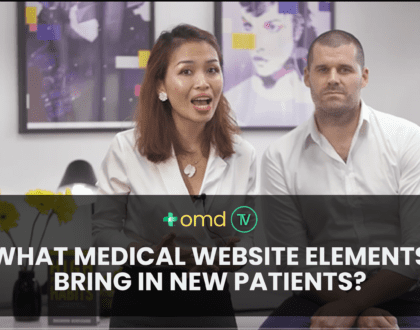 Does your website content answer all possible questions that patients would need to know about a treatment or a procedure? Does your website offer incentives for prospects to make enquiries with you? Are these offers easily accessible anywhere on the website? Obviously, a site overhaul isn’t necessary every time one of your competitors changes theirs. Having said that, if they make changes that improve their rankings substantially and end up pushing you down in searches, it’s likely time to make some alterations to your site. If you spend some time on a competitor’s site and realise it could meet your goals far better than your own site does, it’s time to roll up your sleeves and get busy. While maintaining an edge in search shouldn’t be your only goal, if you’re not near the top of search results it’s because a competing business is beating you to it. Redesigning your website can take your practice to the next level – are you ready to upgrade your site? If you have a website that needs to be spruced up, then Online Marketing For Doctors is here to help. 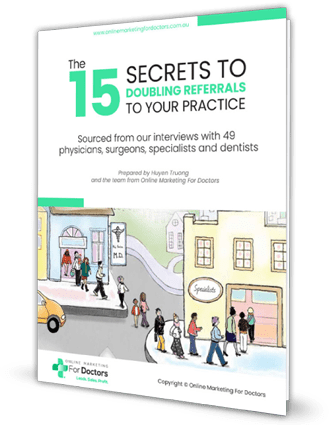 At Online Marketing For Doctors – a full-service digital marketing agency – our goal is to bring together healthcare providers and new prospective patients in their local communities. Don’t get left behind in the world of technology, call today for a website consultation or check out our basic website quote by clicking on this link or call directly our team at +61 2 9191 7388.